MEXICO CITY — One night in September of last year, 19-year-old Mara Fernanda Castilla Miranda, like so many people her age, went out for a night on the town in a suburb of the south-central Mexican state of Puebla. And like so many other women across Mexico, she never made it home. When the night was over, Mara Fernanda hailed a cab using a popular ride-hailing app, but when she did not arrive at her destination her friends and family grew suspicious and organized a search. When local law-enforcement failed to act with a similar sense of urgency, however, her friends took to social media to demand accountability and ask for help from the public. The campaign went viral and, days after Mara Fernanda’s disappearance, police responded to grassroots pressure and detained the cab-driver; Mara Fernanda’s body was found soon after that, and the attorney general said that she had been raped, beaten and strangled. The killing of Mara Fernanda shone a spotlight on the crisis of sexual violence and femicide in Mexico and across the Americas, and underscored the #MeToo movement’s stark class distinctions. With A-list Hollywood starlets and affluent white professionals capturing most of the media’s attention, poor and working-class women — and women of color in particular — are targets of sexual assaults just as much, if not more, and yet their suffering goes largely unnoticed in the public eye. Femicide is a term rapidly growing in popularity that is generally used to describe the homicide of a woman specifically because of her gender and one that is commonly used throughout Latin America. According to a study by the National Institute of Women, there were 12,811 suspected homicides, of women in Mexico in the last five years. During the march to commemorate International Women’s Day in Mexico City March 8, Mara Fernanda Castilla’s name was among those of the thousands of murdered and disappeared women that were on the lips of demonstrators who took to the streets demanding justice. One contingent after another carried banners, placards, and crucifixes bearing their names. In contrast, major, privately-owned media outlets in Mexico depend on government subsidies and contracts and are reluctant to address an issue that is sensitive for politicians, who are widely seen as unresponsive to the needs of their constituents. What little coverage has been devoted to the issue of gender-based violence in Mexico is typically contextualized as a problem for the country’s elite. Recently, the #MeToo movement made headlines here when several actors and celebrities went public with accusations of harassment and assault. However, Karla Torres — from the Libres y Combativas collective, which identifies as an organization of young and working-class women who defend an anti-capitalist and revolutionary feminism — told MintPress that it is working-class women who suffer the most under gender-based oppression. While she makes clear that she denounces all instances of gender-based violence, she is critical of the media’s fixation on women like the Mexican actress Karla Souza – who recently spoke out about being allegedly raped by a director – while the experiences of working-class women are marginalized. “We do not want violence for anyone, we do not want anyone to be the subject of abuse; but we need the cameras to focus here, where the majority of the population is, and see the demands that we have,” said Torres. Had reporters honed in on the women marching on Women’s Day the way they did for celebrities such as Souza, they would see women who work two or three jobs, and whose interrogation of the problem of gender violence is typically much deeper than those made by liberal activists. And that, she argues, is why there is an effort to render working-class women invisible. Instead, Torres said, the media deliberately plays up the kind of feminism that does not threaten the system of entrenched privilege and power. The irony, she says, is that wealthy women are only able to go public with their stories because of the grassroots movement that carved out space for them. Criticism is not limited to the media: many feminists argue that liberal nongovernmental organizations, or NGOs, are too close to a right-wing government that has done little to address the country’s most pressing problems, namely rampant violence and increasing poverty. Indeed, many of those who attended the Women’s’ Day March were protesting the entire system, which commodifies women’s sexuality and exalts the privileges and power of the propertied class. This is an election year in Mexico: in July voters will elect a new president and Congress; yet, despite the historical and contemporary problems facing Mexican women, many feel that no candidate has yet really championed their causes. 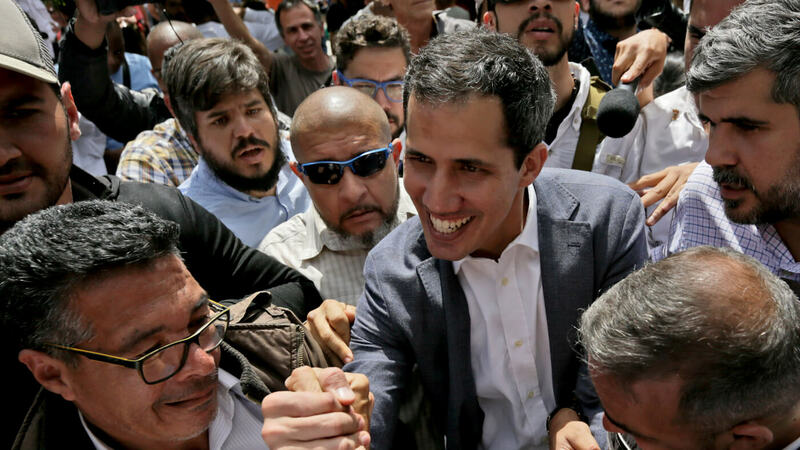 Torres added that “if someone wants to win the elections and they say they are with the people, they prove it now” by supporting the demands of leftist movements. That includes the need to address historical grievances like that of the women of San Salvador Atenco who have organized to fight a plan to build an airport on their land. In the process of fighting for their land rights, some of the women have been victimized by what they allege was state-sanctioned sexual assault at the hands of security forces. By linking sexual violence to land reform, del Valle promotes an internationalist vision of the women’s struggle and celebrates the efforts of people like Ahed Tamimi, a 17-year-old Palestinian who is presently jailed by the Israeli regime for defending her land, and Berta Caceres, who was assassinated for leading a campaign against the construction of a dam on the land of the indigenous Lenca tribe in Honduras.